The show, at Chetwynd Deer Park on Saturday 13 July, promises to be a real gourmet occasion with demonstrations from regular television favourite Cyrus Todiwala and Shropshire based celebrity chefs James Sherwin and Stuart Collins. All three exceptional chefs are appearing at the show for the first time. James Sherwin, a former MasterChef contestant who has also appeared on Channel 4 programme The Taste, owns Wild Shropshire, a terroir based restaurant at Tern Hill near Market Drayton. He said: “I have been eager to be at the Newport Show for the last couple of years as it’s such a popular show with a great reputation. “I am busy preparing my demonstrations to show the audience just what can be done with food. Stuart opened his restaurant, Docket No.33 in Whitchurch, two years ago and following that success opened Docket No.64 in Chester. Previously, he’s worked alongside Gordon Ramsay in London and later in New York and Doha, Qatar. His demonstration could include cooking with Mangalitza Pork, a Hungarian pig, and the best of locally sourced produce across Shropshire. Cyrus, who often appears on BBC’s Saturday Kitchen, is a Bombay-born Parsee chef who cooks, teaches, runs successful restaurants and is the author of six books. 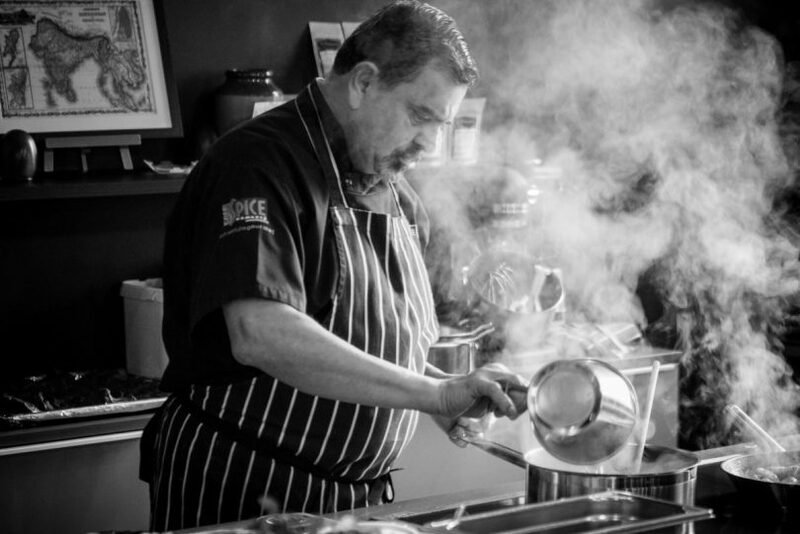 He owns the award-winning Cafe Spice Namaste in London and Mr Todiwala’s Kitchen at the Hilton at Heathrow airport. He is well-known for his spiced and sophisticated Indian cuisine, has been awarded an OBE and MBE, and was named BBC Food Personality of the Year in 2014. Tony Asson, chairman of the Festival of Food Area at Newport Show, said: “We are delighted with the line-up for our cookery theatre – it really does promise to be a spectacular occasion. “The demonstrations always prove extremely popular and we are sure anyone with an interest in food will not want to miss these chefs. There will be four cooking demonstrations in the Festival of Food area during the day. Cyrus will be entertaining the crowd at midday and 2.45pm, James will be on at 11am while Stuart’s demonstration takes place at 1.30pm. The Festival of Food area will also feature winner of BBC Dragon’s Den and Lord Alan Sugar’s business partner, Alana Spencer of Ridiculously Rich by Alana. Little Foodies will be taught to make sushi and fresh pasta and can take part in an apple bobbing competition with a chance to win fruit and veg to last a month and £100 of sports equipment for their school, sponsored by Jupiter. Tickets for the 110th Newport Show can be bought online at www.newportshow.co.uk or reduced price late entry tickets can be bought at the pedestrian gate from 4pm.